We have been working very hard for a couple of years to come up with a system that simplifies the useful but complex information on our nutrition fact label. In fact, nutrition fact labels can be very complex and confusing to understand and interpret without having some basic knowledge of nutrition and food. NutriPledge is very excited to be able to come up with a simple dot system to help you navigate the nutrition fact label and help you make healthy food choices. 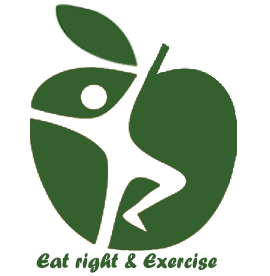 Please Check out our “Food Coach” apple on our website (www.nutripledge.com). 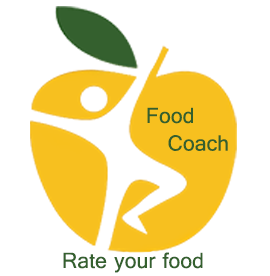 The Food Coach rates your food into 1 of 4 categories: Green dot|Health promoting; Yellow dot | Healthy balance; Green-Yellow dot|Healthy meal replacer; or Red dot|Watch out. Green dot foods would be your healthiest option, and you shouldn’t have to worry about your serving sizes, as long as you are within serving recommendations and include all the MyPlate food groups in your daily diet. These foods would be nutrient-dense but low in calories, with a great balance of healthy carbs, fat, protein, and dietary fiber, while also low in sodium and sugar. Similarly, Yellow Dot foods make a healthy snack or side dish, and Green-Yellow dots are a healthy meal option. Meanwhile, Red Dot foods will caution you with unhealthy characteristics of the food that may have negative effects on your health if not eaten mindfully. Below is a little description of our food rating system. So, check our Food Coach out today on our website (www.nutripledge.com), and have fun learning and understanding your food and eat with confidence! Green dotted foods are nutrient-dense, while low in calories, with a great balance of healthy carbs, fat, dietary fiber, and other nutrients. These foods would be the healthiest food choices on a regular healthy diet. Yellow dotted foods are a little higher in calories compared to green dot foods and would make a healthy balanced snack or side dish choice. Yellow dot rated foods are a healthy balance of calories, carbs, protein, fat, and other nutrients. Yellow-Green dot rated foods have enough calories to make a meal, but still have a healthy balance of carbs, fat, protein, dietary fiber, and other nutrients and food factors that can affect your overall well being. Red dotted foods are either high in calories per serving or do not have a healthy balance of important nutrients like carbohydrates, protein, fat, sodium, dietary fiber, and other nutrients. These foods may have a negative impact on your health and wellness if not consumed with caution. Have fun and enjoy our Yellow Dot Banana Almonds Smoothie Recipe and eat with confidence!